This PDF 1.5 document has been generated by Microsoft® Word 2010, and has been sent on pdf-archive.com on 28/01/2014 at 16:32, from IP address 41.72.x.x. The current document download page has been viewed 451 times. 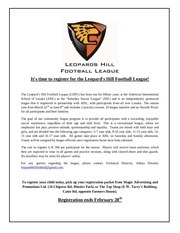 It's time to register for the Leopard's Hill Football League! 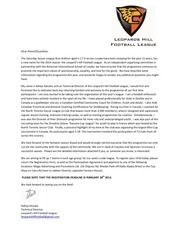 for all participants and their families. girls, and are divided into the following age categories: 5-7 year olds, 8-10 year olds, 11-13 year olds, 1415 year olds and 16-17 year olds. 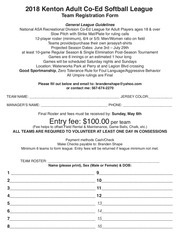 All games take place at AISL on Saturday and Sunday afternoons. 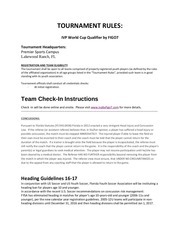 Teams will be assigned by league officials once registration forms have been returned. 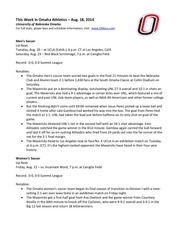 they are expected to wear to all games and practice sessions, along with cleated shoes and shin guards. No jewellery may be worn for players’ safety. Cairo Rd, opposite Farmers House). This file has been shared by a user of PDF Archive. Document ID: 00144145.